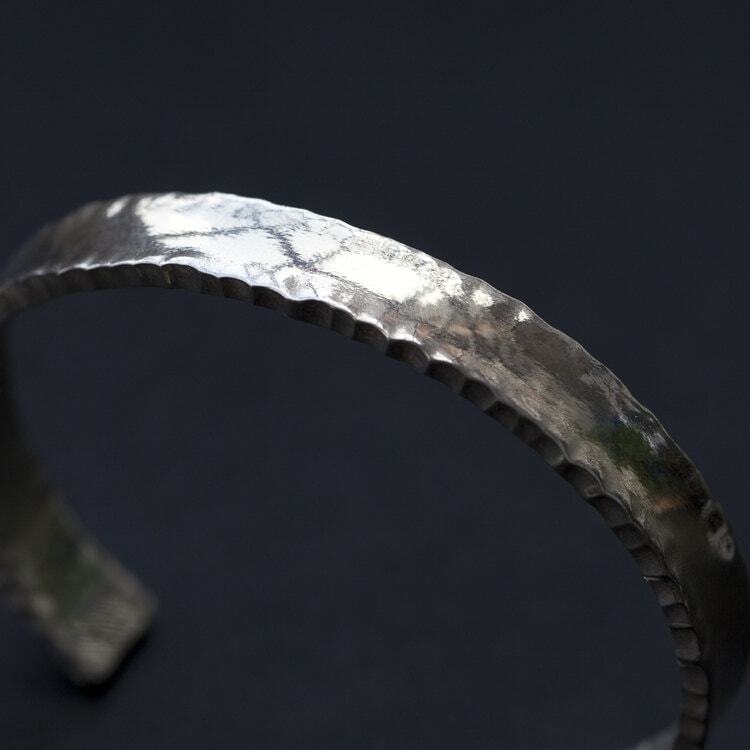 The hammered silver bangle is a classical piece that reflects the full sensibility of handcrafted jewelry. 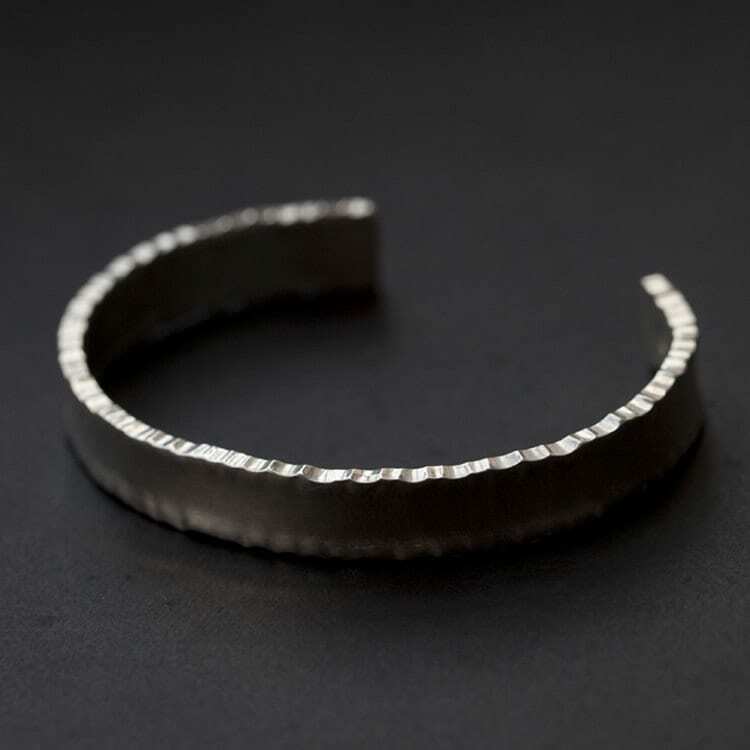 A minimalist design - with the bangle crafted with just one tool - a light hammer. 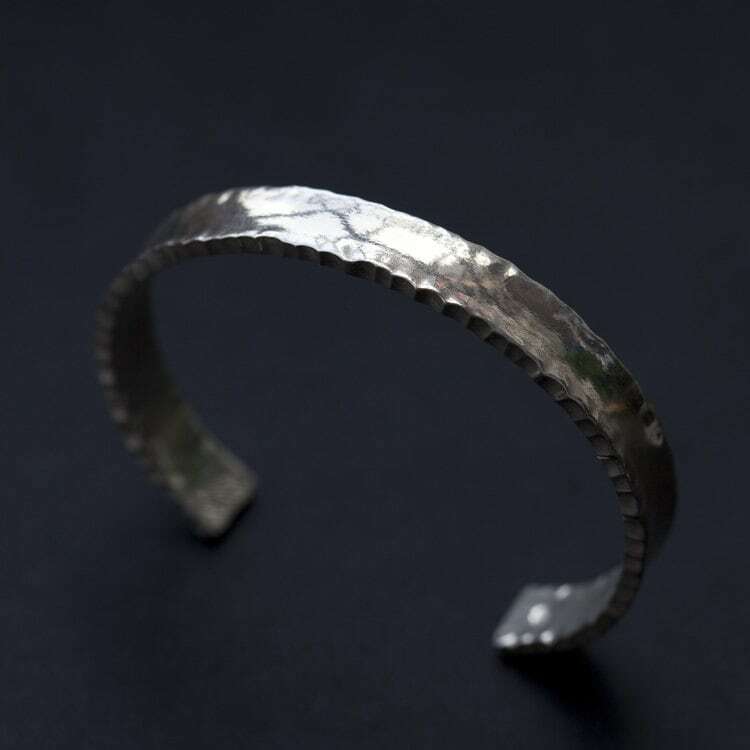 The rough texture and the uneven edges create a beautifully rustic silver bangle. 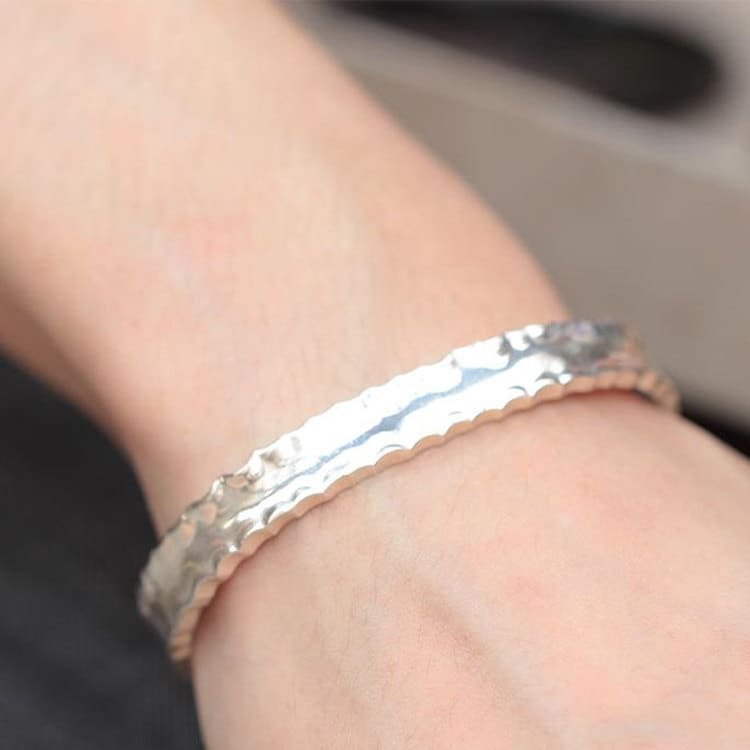 Looks good on all wrists - a great gift for her and him. 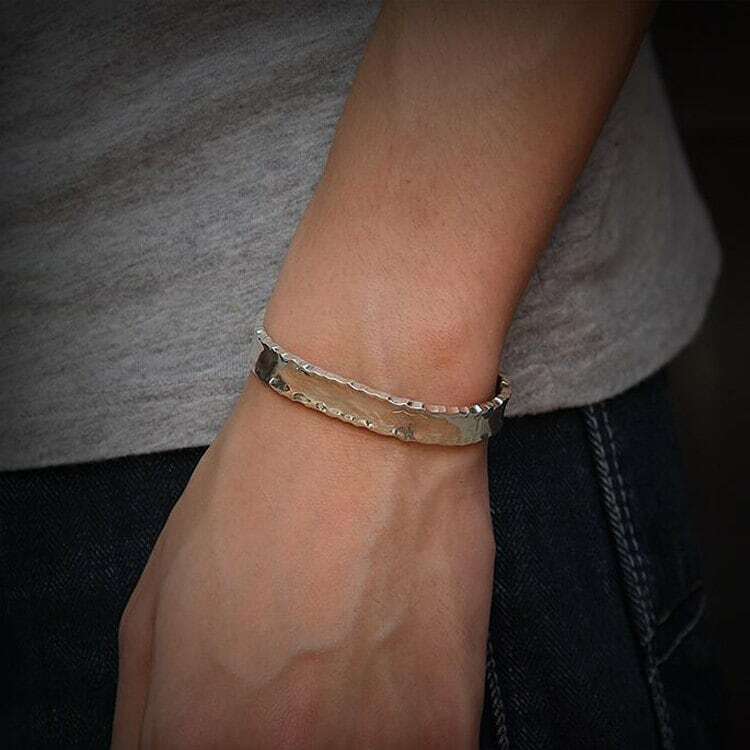 Width: 0.9 cm/0.35 inch. Thickness: 1.8mm/0.07inch. Wowowowow!! I looooove my bracelet!! It's amazing ! Thank you for making it for me and sending it so fast.